GAIA is a beautiful 16 ha farm in Colombia in which 5 hectares of the farm serve as our company headquarters and include our main office, a bamboo nursery, a tropical bamboo garden, a large warehouse to store our bamboo for export and a facility producing prefab bamboo housing. Lote Mestizo, a 6.2 ha plot within GAIA, has been planted with Guadua angustifolia and is available for sale. Potential buyers now have the unique opportunity to own a part of our bamboo farm and become partners and future suppliers of the much needed raw bamboo materials. 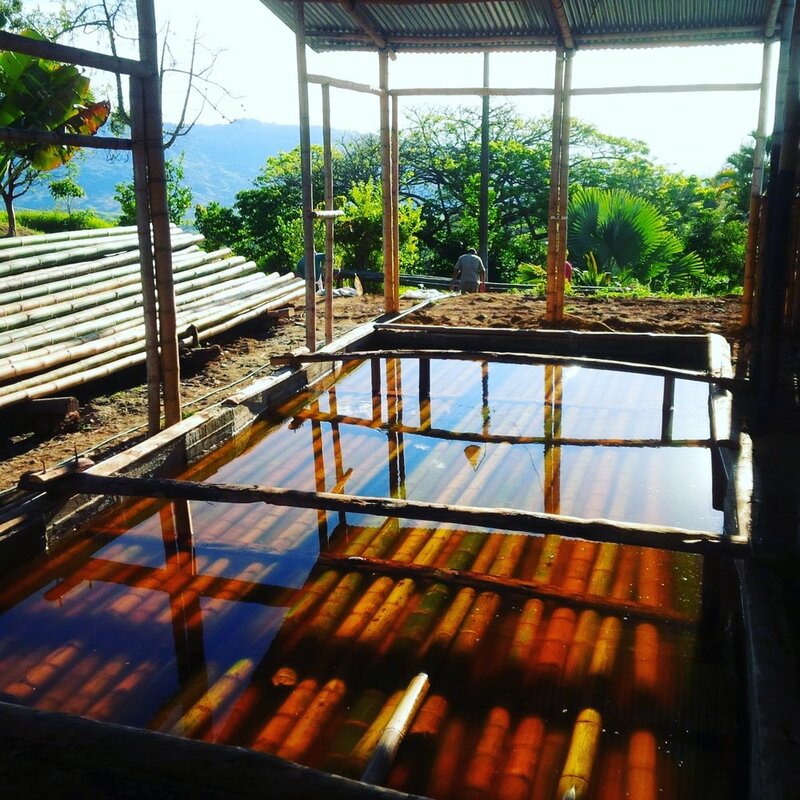 As a farm owner / partner / supplier you do not have to lift a finger, we maintain, harvest, process and sell all of your bamboo crops right here at Finca GAIA while you sit back and reap the financial benefits every year. Why are we Selling parts of our own Farm? The Best Bamboo core business is to sell and export bamboo to our clients around the world. We are not forestry brokers nor are we in the business to sell bamboo farm land for profit. Our main objective is to guarantee a steady supply of the highest quality bamboo for many years to come. Ignoring one of these parameters, will impact to a greater or lesser degree the revenue stream and genetic potential of the bamboo plantation. So, the only one way to guarantee that all these criteria are met, is by finding and buying the best bamboo farm land ourselves. Forestry brokers for example, are in business to make money on land sales, they do not care whether the farm will produce high yields nor do to the have the passion or experience of growing, harvesting, processing and selling bamboo. They cash in at the time of selling the farm, what happens afterwards is none of their "business". The Best Bamboo on the other hand needs to ensure that it grows at the best possible location and produces the highest annual yields possible. This is only for our own benefit as the cost of transport (in case of bad road or port access), maintenance (in case of poor soils and climate) or legal and social problems could otherwise cause our business to fail. Finca GAIA also has a extraordinary amount of biodiversity including many endangered tree species which are on the red list of CVC (Corporación Autónoma Regional del Valle del Cauca). The Best Bamboo, Planet Jungle and the CVC work hand in hand to preserve these natural forests to ensure none of the endangered trees are touched. 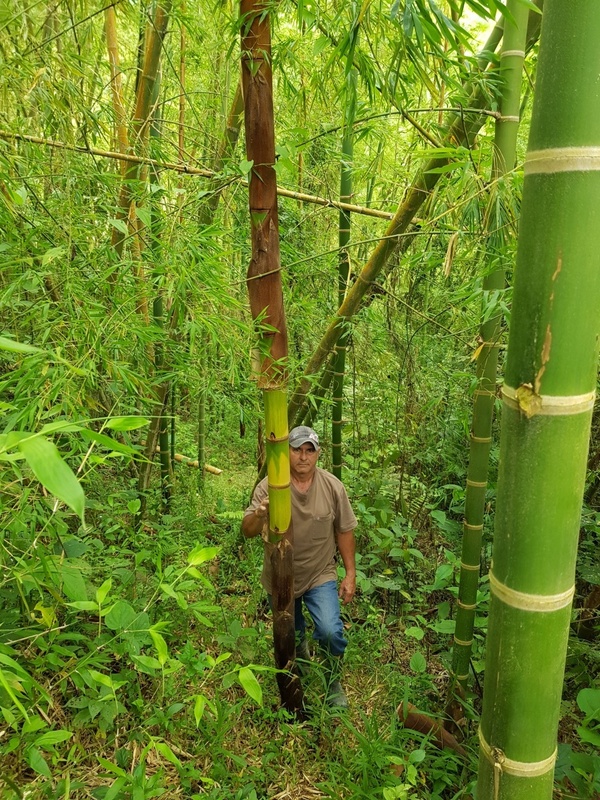 If you would like us to contact you regarding this great opportunity to become not only a land owner but our partner in this truly sustainable bamboo forestry operation, please leave your details and we will contact you shortly. By the way, did you know what 'GAIA' stands for the Greek Goddess of the earth? We look forward to having you as our neighbor!